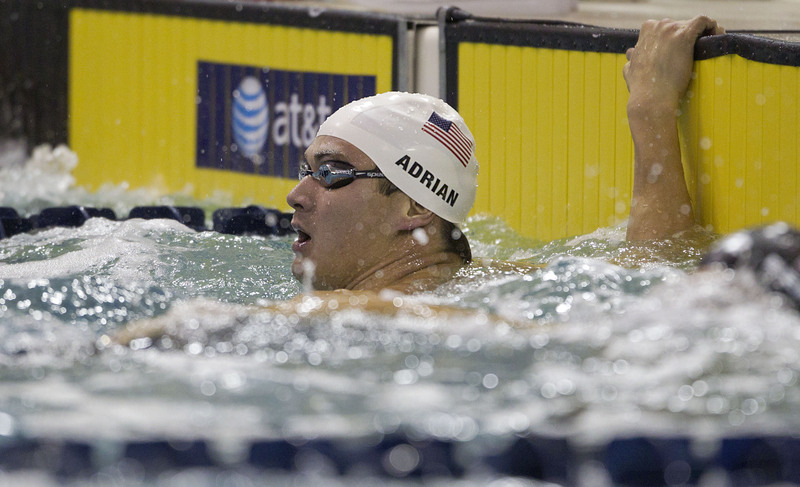 Bremerton’s Nathan Adrian won the 100-meter freestyle Saturday, sweeping the sprint events at the U.S. winter nationals in Atlanta. Adrian pulled away from the rest of the 10-man field in the final 10 meters and touched the wall in 48.33 seconds. Darian Townsend and Yannick Agnel of France tied for second in 48.87. Adrian won his sixth straight 50 free national title Thursday.